Details of the next two upcoming Guildonians shows are as follows - add the dates to your diaries now! 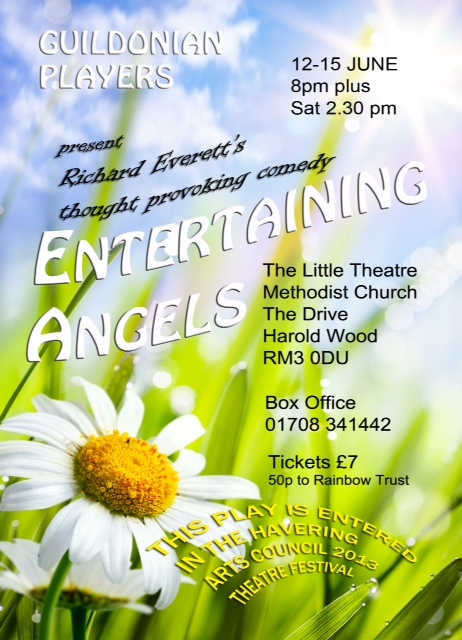 A funny, touching and thought-provoking comedy set in an English vicarage garden in the present day. The play centres on Grace, a clergy wife who has spent a lifetime on her best behaviour. Now, following the death of her husband Bardolph, she is enjoying the new-found freedom of being able to do and say exactly as she pleases. But the return of her eccentric missionary sister, Ruth, together with some disturbing revelations forces Grace to confront the truth of her marriage. Entertaining Angels starred Penelope Keith when it ran for two sell-out UK tours in 2009. A gentle light entertainment for a summer’s evening. This hilarious sequel to Run For Your Wife finds bigamist taxi-driver, John Smith, still keeping both his families happy and blissfully unaware of each other. But disaster threatens when his two teenage children – a girl by one wife and a boy by the other wife – meet on the Internet. Intrigued that they have so much in common - surname, taxi-driver dad of the same age etc, they are determined to meet, and when John realises his goose is about to be cooked, he plunges into a hell-hole of his own making in order to keep them apart. His saviour could be Stanley, his somewhat dim-witted lodger. But Stanley is about to go on holiday with his decrepit old father, who turns up thinking he is already at the guest house … The ever-spiralling situation gets increasingly out-of-hand as John desperately struggles to juggle with the truth. 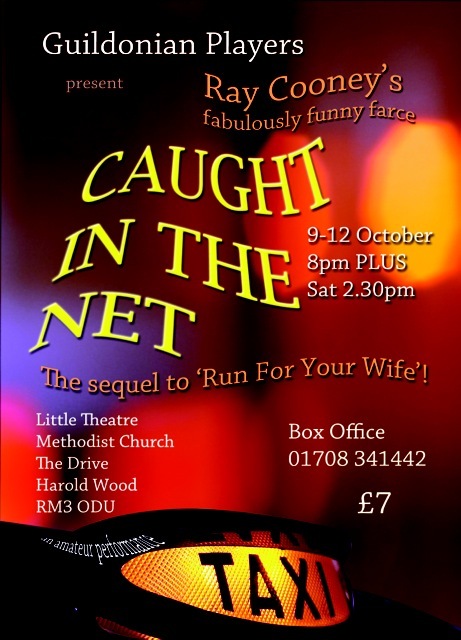 So if you if you fancy an evening of amusement and laughter, come and see Caught in the Net.